Wondering Where All the Lime Colored Bikes Around Town Suddenly Came From? We Have Your Answers! 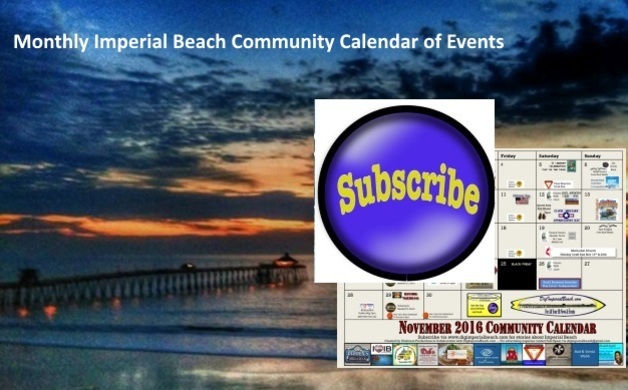 At Wednesday Night's Imperial Beach City Council Meeting the City Council Voted 4 - 0 to Grant A 6 Month License and Encroachment Permit to Company to Operate in Imperial Beach. The company's bikes are "lime color" like the name of the company and stick out in a crowd are easy to see! Lime Bike has distributed around 250 bikes at various locations for people to rent for whatever reason they so desire around the City of imperial Beach. The rental is done by utilizing an application on your Apple or Android Smartphone called "Lime Bike" that will allow you to rent the bike for an unlimited amount of time for a rate of $1 for every half hour of rental. When you are done, you put the bike in an appropriate place to put a bike, such as a bike rack, and lock the back tire which stops the bike from operating and stops the clock on your bike rental. All this time a GPS system is monitoring your travel. After you have downloaded the app, it will actually tell you were the closest place a bike is for you to locate one to ride. Every bike contains a GPS tracker so the company knows where the bike is at all times. At the City Council Meeting, Lime Bike Program Manager for the San Diego region explained the program to the Imperial Beach City Council. One of Imperial Beach's big problems has been that they do not have any bike rental stores. This is not a problem for other nearby beach cities like Ocean Beach, Pacific Beach and Mission Beach that have stores that rent bikes. Once you have located the bike you want to use you use, you simply swipe the Lime Apps bar code reader on the bikes barcode to unlock the bike and off you go to to wherever you like. You can even put it on an MTS bus and travel to a location near where you want to go and ride the bike the rest of the way, if you haven't implemented the lock on the back tire the clock will run on your billing cycle but you can take it to where ever you need to. When you are done you park the bike in a legal location for a bike and lock the bike's back tire and you are done. During the 6 month trial period of the license, Lime Bike and the City of Imperial Beach will follow the program via the GPS Reports and also monitor complaints about people who leave the bike in places that are inappropriate. This will include people parking the bikes in the middle of the sidewalk, on private property, car parking spaces and things of that nature. If you have a complaint you can call the City or Lime Bike. Lime Bike said that if they get a complaint they would respond to it in an hour or less. How people were to get that phone number was not discussed at the meeting but the company's app or website would seem like the logical place. It's the City's hope that having bike rentals will help tourism and help in their effort to be a Green City. There is no cost to the City of Imperial Beach for the program and Lime Bike will carry insurance to cover or compensate Imperial Beach in case there is a lawsuit filed against the City. There is a separation clause in the City's 6 month agreement in case they need to terminate the licenses because of cause agreed to in the licensing agreement. The bikes will be available 24 hours a day for people to rent. Lime Bike currently plans to start with 250 bikes and the agreement with the City allows them to go up to 600 bikes if they see a need got that many. Because the bikes have GPS and the rider is tracked, the company can stop anyone from renting a bike who has operated the bike irresponsibly or has left the bike in an inappropriate location. If you would like to watch this discussed at the Wednesday Night's IB City Council Meeting you can watch it discussed in the City's video below. It is discussed from about 1 hour and 31 minutes into the meeting and last for about a half hour. So 1:31:00 to 2:01:00. Curious about how LimeBike works? Check out the attached video or go to https://www.limebike.com/faq/.